Since the release of his debut album, Monarchy, in late November 2012, Adam Bignell (A.K.A Mosh) has become a well-established name on many sites such as Soundcloud and Bandcamp. With tens of thousands of hits within a few months and much positive feedback on social networking sites, the release boded well for the future, and for this reason Empire was born. Empire is an ingenious blend of various genres, predominantly those of electro/punk persuasion, which have been slightly lacking this year due to the primary focus on a more soft-edged finish, and so it has been interesting to hear Mosh's personal take on the evolution of electronica. 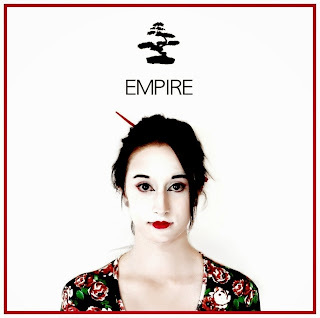 The foremost track, 'Empress', perfectly exemplifies the tone of the rest of the album due to the tranquil stringed Oriental instrumentals that open and close the track, and also underlie a powerful and imposing electronic bassline throughout; although it isn't a particularly abrasive listen, it isn't an album to be taken lightly. My favourite track on Empire was one of the longer pieces, 'Zodiac Overdrive',which brings the album to a mid-point climax through the use of formidable overdriven electric guitars and indignant vocals from Melanie K.A. The controlled distortion of the various musical implements really emphasises the quality of Mosh's level of production which can be seen from start to finish on the album, and for this reason Empire is a definite must-listen.